We invite you to become a member of Our Family. Whether you find yourself inspired to volunteer, attend an event, visit a home, become friends with one of our residents, join an event committee, or become an Archangel or WINGS member. We welcome you to get involved! You will see the impact of your involvement immediately on the faces of those we serve. Join others in metro Detroit who have become a Member of the Family. Make a tremendous difference in the lives of the residents and families we serve. 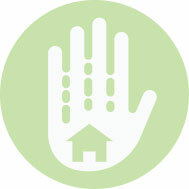 By making a one time or recurring gift you are ensuring that our homes provide a safe, loving environment and that the individuals we serve have the opportunity to live a full and happy life. Your energy and commitment are integral to the operations at Angels’ Place & provide a network of resources to the residents! We embrace the diversity of our volunteer members that share time with us. We believe that each volunteer has unique gifts to share. Youth Members who initially gathered to meet service hours for school, have become a group of dedicated volunteers involved in the daily enrichment program, event support, pantry collections and as friends to the residents. The youth members play a large role in the residents’ yearly talent show among many other activities. Angels’ Place hosts many special events throughout the year. Our Sponsors help reduce the costs of our fundraising events and, in return, have the opportunity to participate in events, promote their business, and network with their peers. W.I.N.G.S. – Women Involved in Nurturing and Giving Service was started to honor the founding women of Angels’ Place. W.I.N.G.S members not only provides financial assistance for Angels’ Place, but also promotes our mission through increased awareness among women, annual support, and volunteer service. A planned gift to Angels’ Place will ensure that your legacy of giving will continue. Individuals who make planned gifts to Angels’ Place become members of Angels’ Place Legacy Society. All members receive a membership pin and an invitation to an annual membership event. Local and nationwide companies have dedicated a portion of their earnings to support Angels’ Place. These merchants help raise money for Angels’ Place by offering to give a portion of what their shoppers spend to our organization. 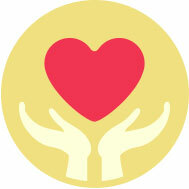 Merchants can choose from a variety of ways to give back.